2018 is called the first year of bathroom customization. 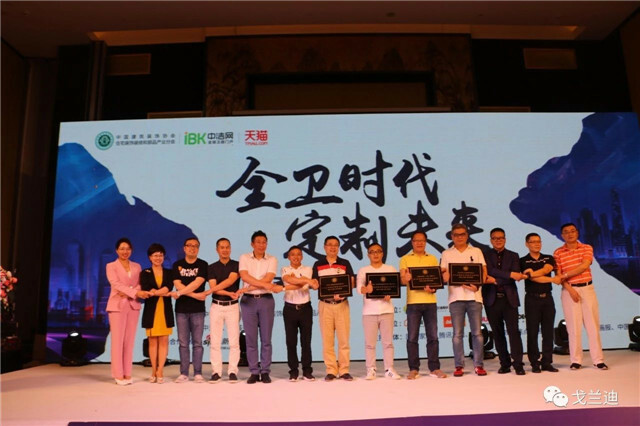 The day 26th, July is doomed to be an unforgettable day, as on this day, the “Overall Bathroom Era · Customization for Future- Conference of facilitation movement for bathroom customization” was successfully held, hosted by the interior decoration department and the housing parts industry branch of CBDA (China Building and Decoration Association) and Zhongjie Net, and undertaken by Guangzhou Gelandy New Material Co.,Ltd. 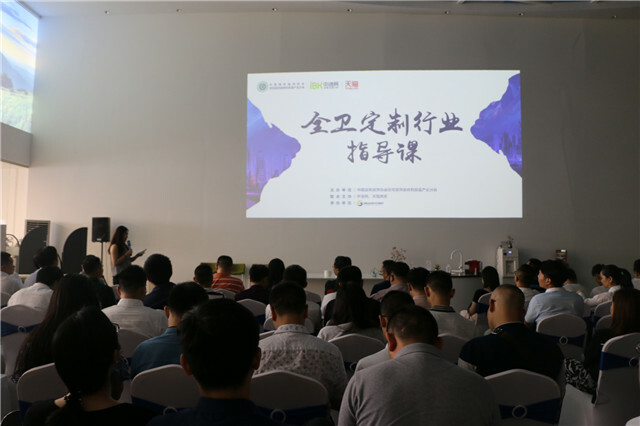 Industry experts, leading enterprises of bathroom industry and media elites around the country were invited to participate this activity, seeking for mutual development on bathroom customization. Along with the continuous development of economy, the continuous replacements of social ideology, the younger consumer groups and younger consumer awareness, and also because of the fact that people are seeking for individuation and true self more than before, the newly emerged overall home decor customization and bathroom customization become the hot topics in the present household building materials industry. However, most enterprises still lack the ability and experience of offering customization service, and most enterprises of bathroom customization are still in the exploratory status. What does the future hold for us? I guess most enterprises have got their own answers more or less, after a whole day’s ideas collision. 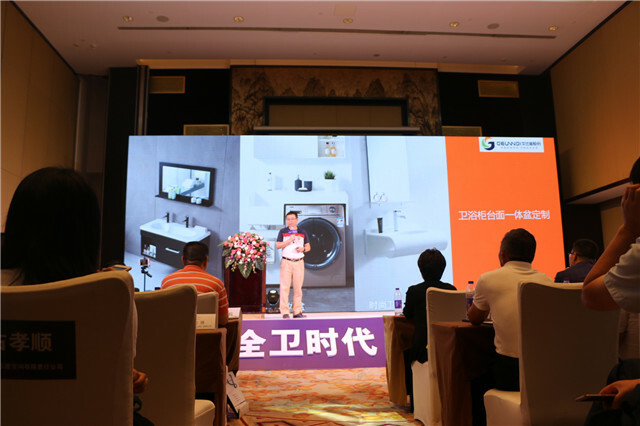 “Overall Bathroom Era·Customization for Future” was officially started in Gelandy experience hall. The first real stuff brought to our guests was ”industry guidance of bathroom customization” presented by three worthy mentors: the previous chief expert of Ring Data, industry research expert -- Tang Ren; the standing director and deputy secretary-general of Tsinghua Alumni Association of Real Estate, previous president of Boloni Hardcover Research Institute –Xu Yonggang; Britain MW Arts Alliance secretary-general, design director of China Fashion & Color Association -- Zhang Xintong. The three mentors brought wonderful sharing to 150 honored guests on site. Leaders of associations and leaders in the fields of manufacture, design and marketing gathered here. 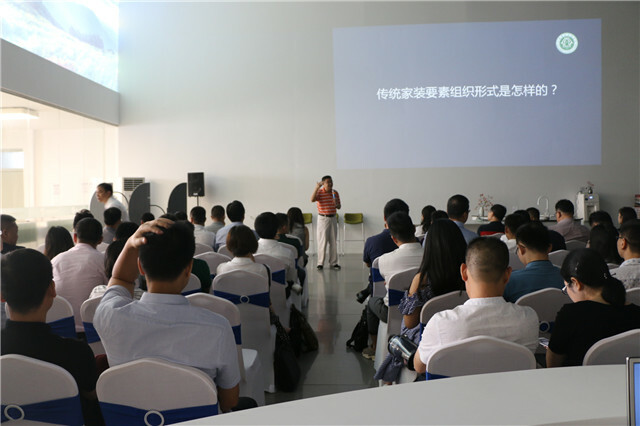 2018 bathroom customization guidance course started, with guests filled up the hall. 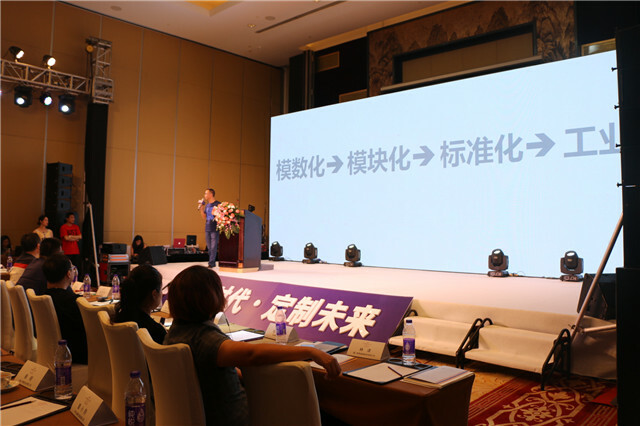 Tang Ren: One central point and two basic points; About the bathroom customization under overall home decor trend. 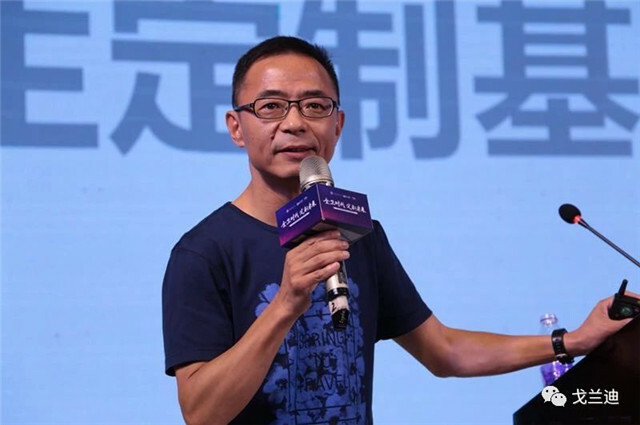 One central point: as the rapid development of the internet, the interaction between people and information and between information and information is the key point. In the internet era, consumers’ requirements for products and brands have changed accordingly. Previously consumers consider brands first and then choose products, while nowadays under the influence of the internet, consumers search products first and then the poor evaluation for products will influence consumers’ choices. That is information’s important influence on consumers. Overall home decor is actually the ultimate concept of satisfying consumers’ decor logic, and is also the effective organizational form of home decor factors. Industry is the organizer of home decor factors, while home decor is composed of design factor, decor construction factor and material factor. In the same way, all the three factors are indispensable in the development of bathroom customization. Two basic points: Give customers better user experience; grab the leadership of design. The key point to make overall home decor marketing bring consumers “better user experience” is to understand that a standardized overall home decor marketing is only to bring “better user experience” to its target consumers, instead of bringing “better user experience” to every home decor consumer. 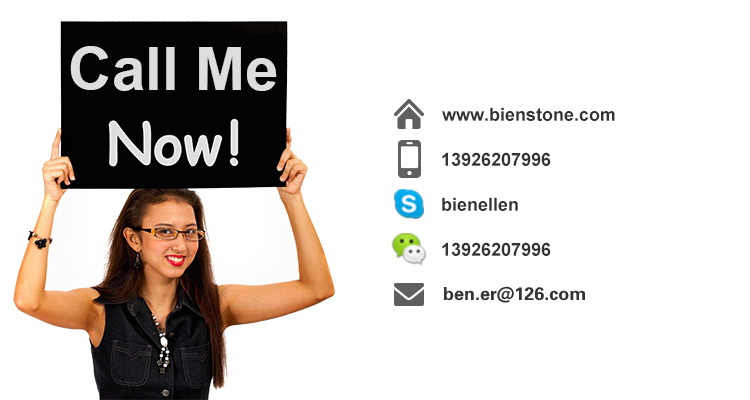 Full house solution marketing can only satisfy parts of the consumers with the same personalized requirements. Only if we can understand the personalized requirements of home decor consumers through understanding or surpassing individual consumers, can we really grasp the essence of full house solution marketing. Meanwhile, grabbing the leadership of design is the key point of overall home decor organization. First, there must be a overall design for the overall home decor, which makes the matches between various decor material factors more harmonious and more reasonable; second, through standardized operation of overall home decor, the operation efficiency of home decor material supply chain can be improved, thus purchasing cost will be greatly reduced and also the logistics and warehousing cost will also be reduced effectively; third, through integrated marketing mode of overall home decor, the total marketing cost of overall home decor materials and decoration construction will be reduced drastically; fourth, overall home decor can satisfy consumers’ home decor requirements of “one-stop service”. Bathroom customization is actually resources conformity, and its advantage is industry development trend. However, it is also facing many problems. Its’ developments requires the mutual efforts of the whole industry, then integrator will succeed. Under the overall home decor trend, bathroom customization also requires enterprises to grab the leadership of bathroom design. This is the only sure way for enterprises. The clear cognition for the four demands of consumers -- human nature (happy and harmonious), sentimental demand (elegant and comfortable), rational demand (convenient and applicable), rigid demand (safe and reliable) will be the key point for solving the pain points and difficult points during consumers’ actual use. 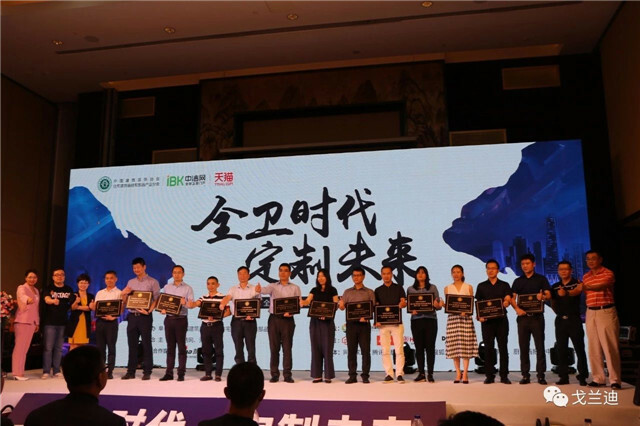 From 2011 to 2016, Xu Yonggang proposed and finished the project “study for the housing and living styles of middle class in first-tier and second-tier cities of China”. Focused on the actual scene study of mid-to-high-end family living samples, they thoroughly researched the everyday habits of typical families, and deeply interpreted different living style demands. 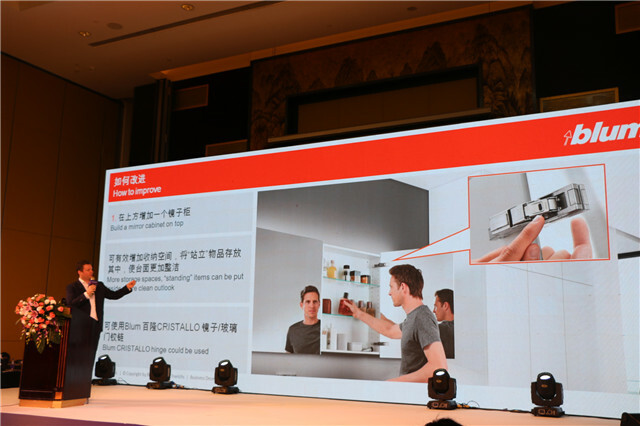 The direction of bathroom customization should be offering solution plans for consumers, and back to basics, satisfying consumers’ requirements for better home living, Xu Yonggang thinks. According to the surveyed data of the International Fashion Color Association, an appropriate color design can bring 10%-25% additional value to the product on base of without increasing the cost. The color plays a significant role to the product, and it exercises a great influence to the brand. The "law of seven seconds" - consumers will determine their buying intention in 7 seconds. And in this short 7 seconds, the color impression is accounted for 67% of the decisive factors. 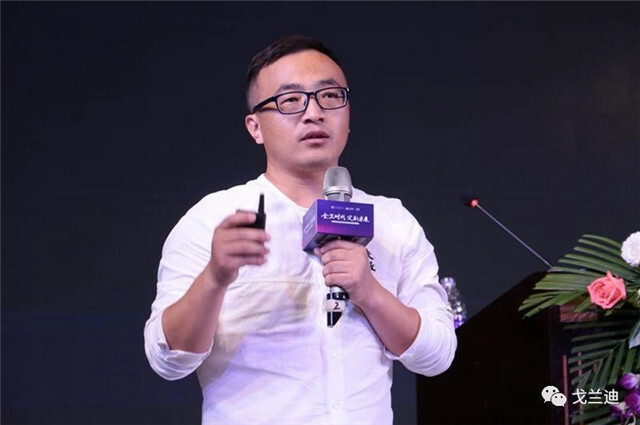 Xin Tong Zhang believes that although most sanitary wares are white, but color can enhance the highlights of the product almost in all industry, it is easier to achieve the expected effect, and bring to the products additional value. The influence of color on brand is also crucial, a high recognition color allows consumers to discover the brand in the distance. Everyone has different understandings to colors. The influence of such customization is complex and costly. In order to control the costs, color management is indeed required, make updated and definition to each color, so that each brand has its’ own colors, and color management can greatly reduce their cost. Gelandy experience hall: solid surface stone, quartz stone application display and material experience in bathroom customization. On the course site, the sanitary ware enterprise experience the application of solid surface stone and quartz stone materials in the bathroom customization: solid surface vanity cabinet custom countertop, quartz stone vanity cabinet custom countertop, solid surface integrated basin, fashion sanitary wares, bathroom pedestal and shower room etc, believe the properties of these new material that can be customized in small quantities, Personalized customization, and deeply customized, will give more power to the bathroom customization. To own great success, bathroom customization is the only way to come across although it is a difficult and painful path, and there are also some enterprises hereon "curve overtaking", the break and stand of the bathroom customization, how much can you pick. 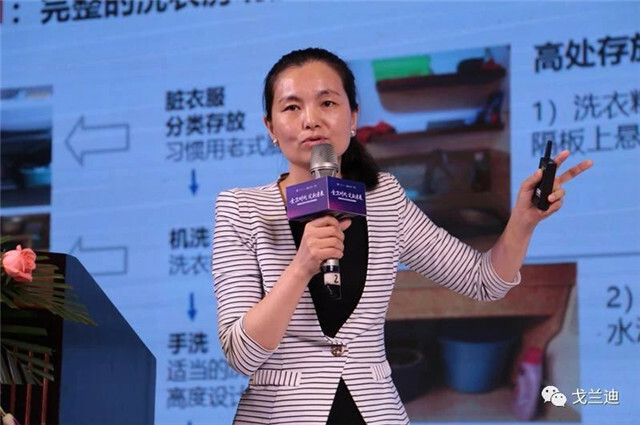 On the meeting, the secretary-general of the CBDA and parts industry branch (hereinafter referred to as the“sub-committee”) Hu Yanan, Straightforwardly spoke out the pain point of the industry: the traditional sanitary ware enterprise has deviations from understanding of “bathroom customization” and the demand of consumer; In the process of veering toward to products integrating and service chain integrating from product manufacturing, the resource integration ability is insufficient; the core competitiveness of the product creativity is insufficient; the marketing model is quite traditional, it is still selling single items rather than space solutions. 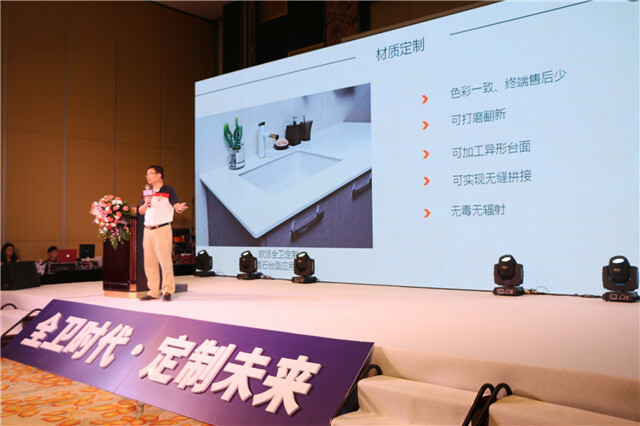 Secretary Hu said that the bathroom customization includes 'space planning+ products+ services', which is a comprehensive test of supply chain management, system construction, and service capabilities, enterprises must bid farewell to the past thought of single product. 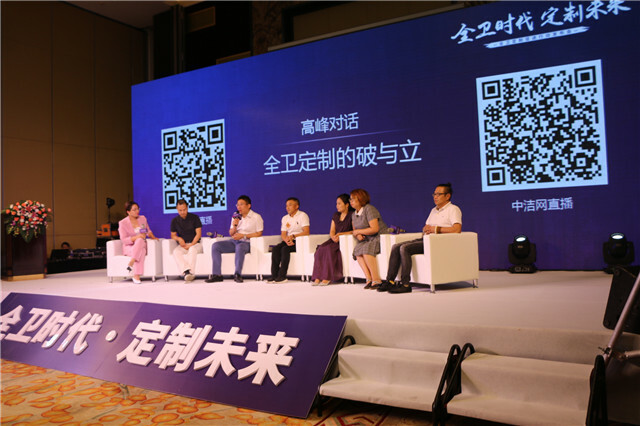 The association will continue to take advantage of the platform, integrate high-quality resources to empower the enterprises, help them to walk with the excellent person in the process of transformation and upgrading, take less detours to get out of the predicament and create a better future for the whole industry! Firstly, customize the industry guidance course, clarify the bathroom customization system, and carry out industry training courses regularly to help the sanitary enterprises transformation and upgrading. 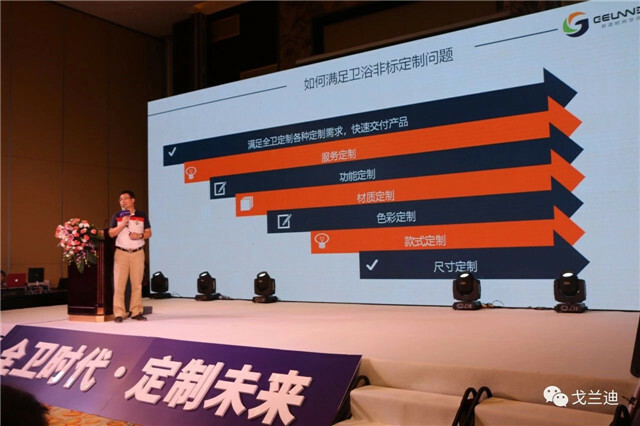 Second, excellent supply chain docking: build a large home industry collaboration platform to promote the interaction between the custom enterprise, upstream and downstream enterprises. Third, adhere to research of the lifestyle. Fourth, set up consulting services. 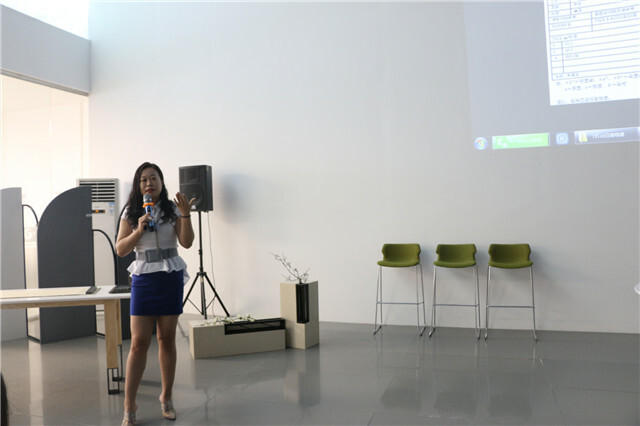 Fifth, sanitary assessment / authenticate presentation. Sixth, select and cultivate the brands and products of the bathroom customization, and carry out brand promotion and product marketing . Representative by the strength brand and quality products of the bathroom customization, to build the overall image of the bathroom customization industry. Through the groping, Oppein have found out the way to break the game, they have set up the four standards of quality, design, handicraft ,service. 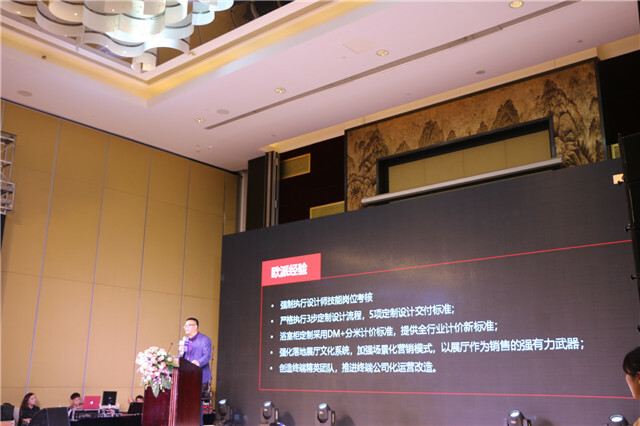 Mr Zhang Jinsong say, only standard first ,so that can be rapid and stable development. Standard’s establishment and perfection so as to promote the benign development of the industry. As this activity contractor, Guangzhou Gelandy New Material Co.,Ltd Chairman Tianyu share new material in the application of bathroom customization area. 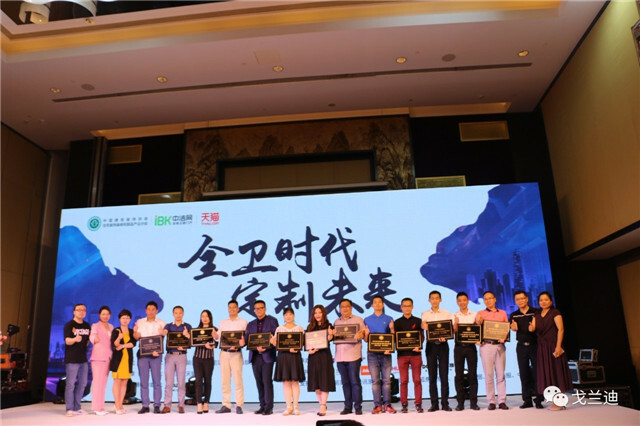 After 18 years accumulation, with great ability of innovation Gelandy have offered the favourable material solution for the enterprises and have winned a sky for themself. Solid surface material for size customized, style customized, color customized, material customized ,function customized ,service customized to satisfy all the customized request of bathroom customization fast delivery of products. 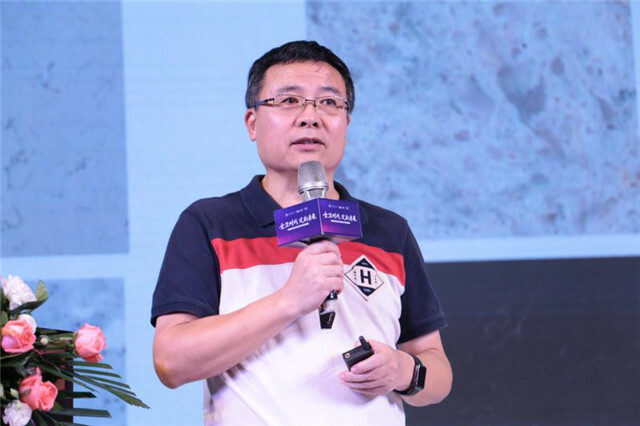 Mr Tianyu said, hope can be assistance for many bathroom enterprises during the development of bathroom customization in the future. 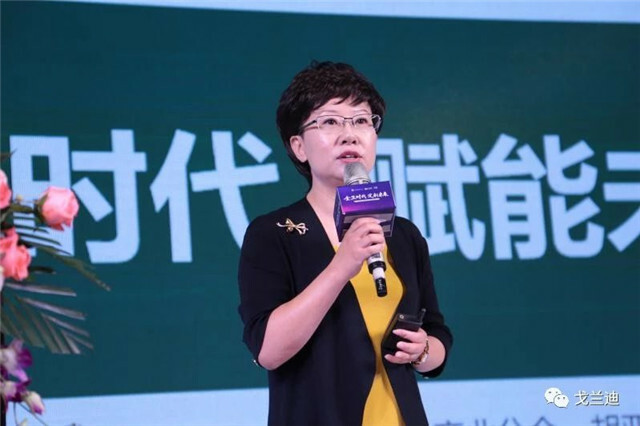 Sandu Space Vice President Zhang Yanjuan carried out the sharing of smart home programs for home building materials on site. 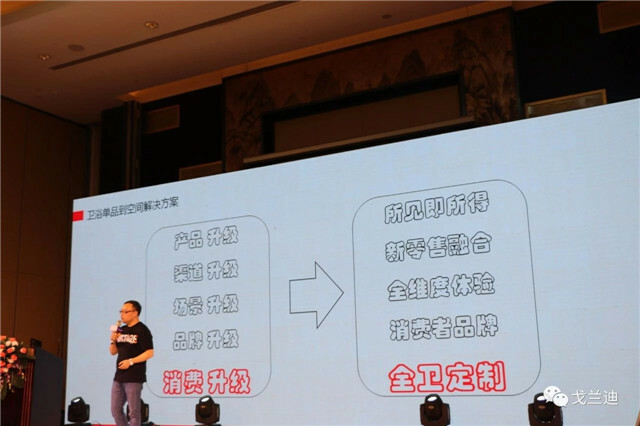 Through big data, scenario marketing and new technologies to achieve traffic acquisition and fission, he suggested grabbing the important traffic entry of the WeChat applet. 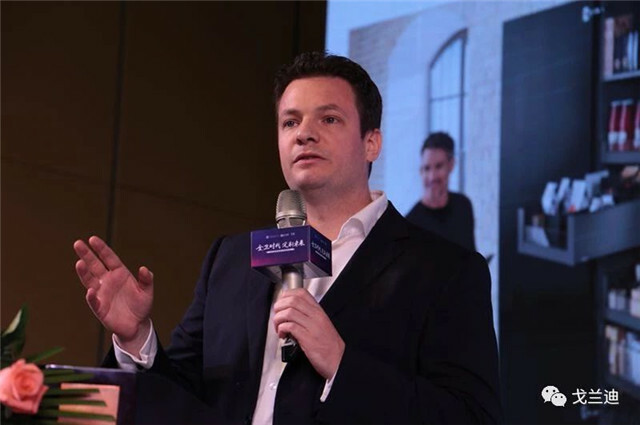 Sandu Space‘s small program to realize the automatic automation of the store, and realize the functions of online traffic, offline transactions, and city alliances to help enterprises improve their marketing capabilities. 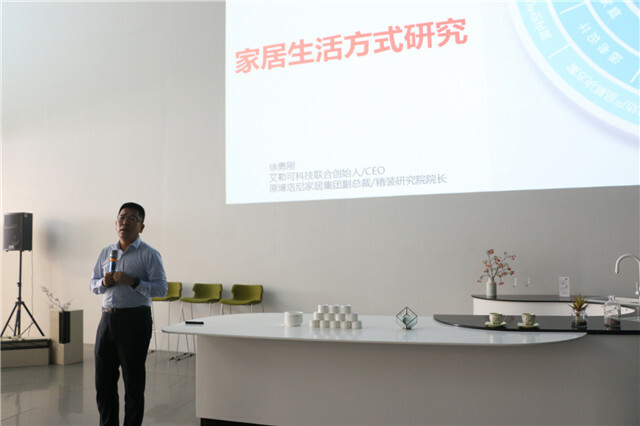 Zhi Bang Co.,Ltd Deputy general manager Liu Guohong Made a share “Use customized thinking to make finished product delivery”. Customization is moving from the space just needed to the quality of life, and it allows companies to upgrade from product manufacturers to solution providers. He believes that customization = human + space + products, and thus the core ability is to provide a set of valuable "building block modules." In the transformation from modulization - modularization-standardization to industrialization, companies need to constantly consider the logic of module production. As a top hardware representative, Blum has been committed to providing solutions for hardware. 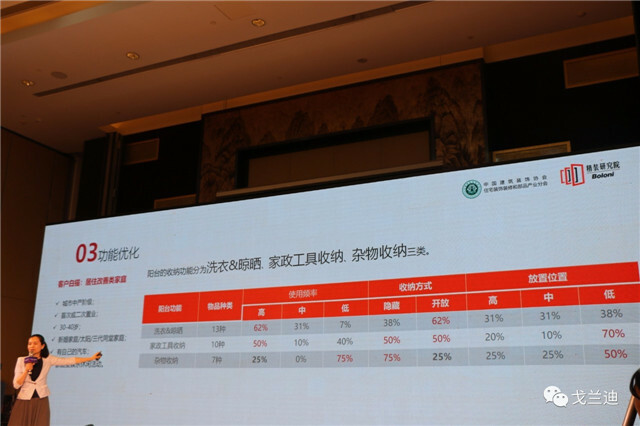 Blum conducted a survey of Chinese middle class last year and is expected to survey 2000 users. The survey found that they need a comfortable, safe, clean and healthy home, luxury is not a major demand. 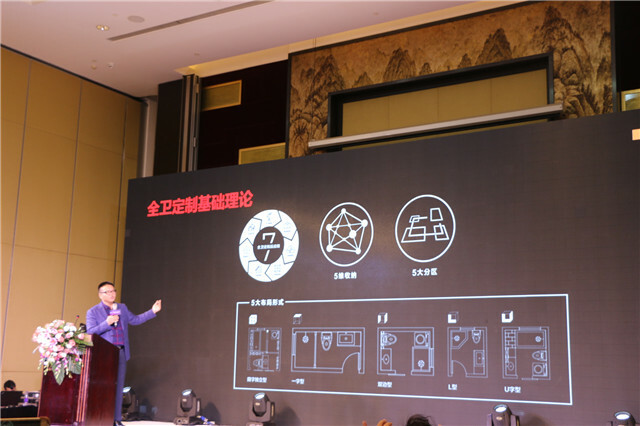 Tmall's decoration & kitchen and bathroom industry director Yang Kaisi said that the decoration is a complex intertwined with various disciplines such as color, aesthetics, architecture, ergonomics and environmental science. Bathroom companies should bring more convenient lifestyles to consumers, including Millions of bathroom solutions. 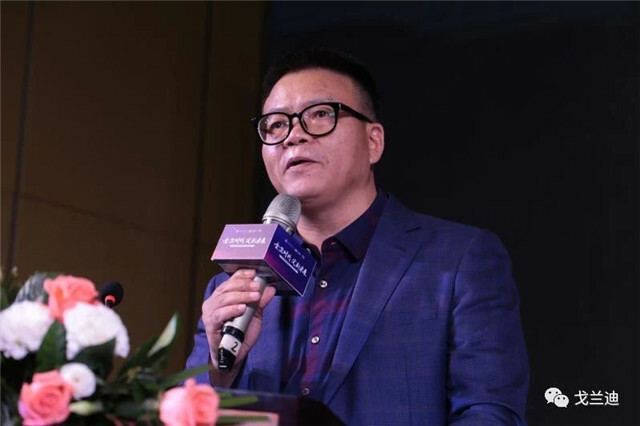 The secretary-general of the Boloni Institute of Hardcover Research Qiu Chenyan, said that the essence of marketing is to find G-point and propose a four-point theory of precision marketing: blind spots, pain points, itching points, and refreshing points. At the same time teach you that even if you are 3 square meters, you can create a versatile housekeeping queen. Zhongjie Net deputy general manager Li Tianyan presided over the peak dialogue, general manager of ARROW Sanitary Ware Division Zhou Zhiwei , chairman of Jialan Sanitary Ware Zhang Aimin, general manager of Xima sanitary ware Deng Zhihong, and the chief designer of Jiangshi Lin Jin, and editor of Sina Home Deco Dai bei, secretary general of Foshan Intellectual Property Association Yang Hong, has made suggestions and opened up new ideas for the healthy and sustainable development of bathroom customization. Promote bathroom customization and upgrade the bathroom experience.